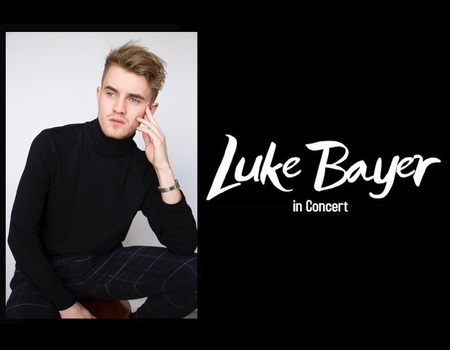 Following the success of his first sold out solo concert in September 2018, Luke Bayer, star of Everybody's Talking About Jamie, invites you back to Crazy Coqs to join him and some special guests in January. Join Bayer as he discusses his life and the people that have inspired him along the way. Expect some new arrangements of familiar songs, lots of silly stories and plenty of laughs. Bayer is currently starring in the new hit musical, Everybody's Talking About Jamie, as alternate to the title role. He has previously performed with The Barricade Boys, The 12 Tenors in China, and last year appeared in the European premiere of Yank! at the Hope Mill Theatre in Manchester. He performed in the 20th Anniversary of Les Miserables at 13 years old and the following year made it to the judges houses of X Factor, being one of the youngest contestants to have ever appeared on the UK talent show. Bayer has appeared in numerous concerts across London, having sung with Scott Alan, Shoshana Bean, Natalie Weiss and many more.